This article lists all rail passes and tickets of public transportations (trains and buses) in Japan. These rail passes and tickets are only available to overseas tourists visiting Japan for a short-term. We hope to help you find your best one! Almost all rail passes and tickets listed in this article are only available to short-term tourists visiting Japan from overseas. People living or staying for a longer term in Japan can’t buy these tickets with a few exceptions. In most cases, you will be requested to present your non-Japanese passport, when you buy or exchange your rail passes or tickets in Japan. How to book or buy your rail passes or tickets varies on each type. Please check each website for their details. All prices shown below are for adults. Prices for children are mostly half of the adults. In some rail passes, you can get some discount by booking in advance. Overseas tourists can buy “regular” tickets sold mainly to Japanese citizens. But, it is often more reasonable to purchase the rail passes or tickets that are sold exclusively to overseas tourists. Depending on your trip plan, you may not need any rail passes at all. Cost the train tickets of your planning, and compare it to the price of a rail pass. The followings rail passes and train tickets are categorized by area. These are only available to overseas tourists visiting Japan. Rail passes primarily offer unlimited rides on trains during the designated validity period. The information is as of December 2018. The rail passes and tickets in the following table cover broader areas of Japan. JAPAN RAIL PASS is the only rail pass that covers all Japan. 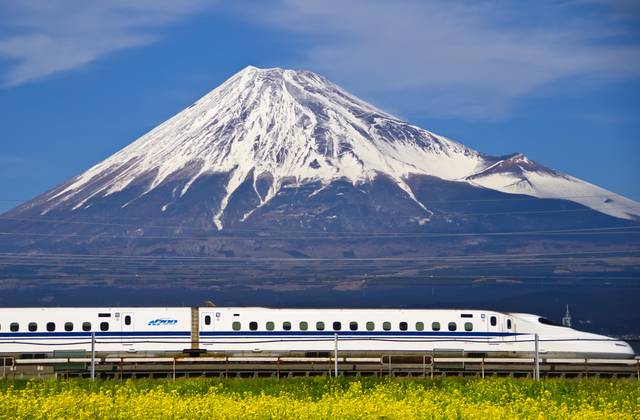 It is well-known to overseas tourists and convenient, but there are many other alternatives than expensive JAPAN RAIL PASS, especially if you go around within a particular area of Japan. Also keep in mind that JAPAN RAIL PASS is not useable on the fastest ‘Nozomi’ trains. The rail passes in the following table cover Hokkaido and Tohoku Area. The rail passes and train tickets in the following table cover Kanto Area. Kanto Area includes Tokyo Metropolitan Area. The rail passes and train tickets in the following table cover Central Japan Area. Central Japan Area includes Tokai, Hokuriku, and Koshin’etsu region. Mt.Fuji is within this area. The rail passes and train tickets in the following table cover Kansai Area. Kansai Area includes major cities, like Kyoto, Osaka, and Kobe. The rail passes in the following table cover Chugoku and Shikoku Area. The rail passes and tickets in the following table cover Kyushu Area. The followings are the bus passes and tickets that are only available to overseas tourists visiting Japan. The information is as of December 2018. The followings table lists the train and bus tickets for airport access. These are only available to overseas tourists visiting Japan. Many of these are discounted one-way or round-trip tickets from or to the airport. There is no tag related to this article. Welcome to KAKUYASU-RYOKO.com! Our goal is to provide you useful information and tips on how to travel affordably in Japan. We hope you will enjoy your trip in Japan! As of April 2017, we have translated only a few pages into English, so we are working on translation now. If you can understand Japanese, please check our Japanese version website, which has much more content. Copyright © 2019 KAKUYASU-RYOKO.com. All Rights Reserved.